BRIDGEVIEW, Ill. (WLS) -- Keith Nicks, 51, and his brother, Terrence, 44, were sentenced to 6 and 3 years, respectively, for their roles in the desecration of graves and bodies at the Burr Oak Cemetery in Alsip, Ill. The Nicks were sentenced Friday afternoon. In 2009, a scandal uncovered gross mismanagement at the historic cemetery, where hundreds of bodies were misidentified and buried on top of each other. FBI agents said 1,500 bone fragments belonging to at least 29 people were found during the investigation. In February 2015, Keith and Terrence were each found guilty on the charges of Desecrating Human Remains, Removal of Human Remains and Removing 10 or More Gravestones. They were sentenced by Cook County Circuit Court Judge Joan O'Brien during a hearing at the Cook County Criminal Courthouse in Bridgeview. "These crimes shocked the conscience of all of our communities and demonstrated the cruel lengths that people will resort to for financial gain," State's Attorney Anita Alvarez said. 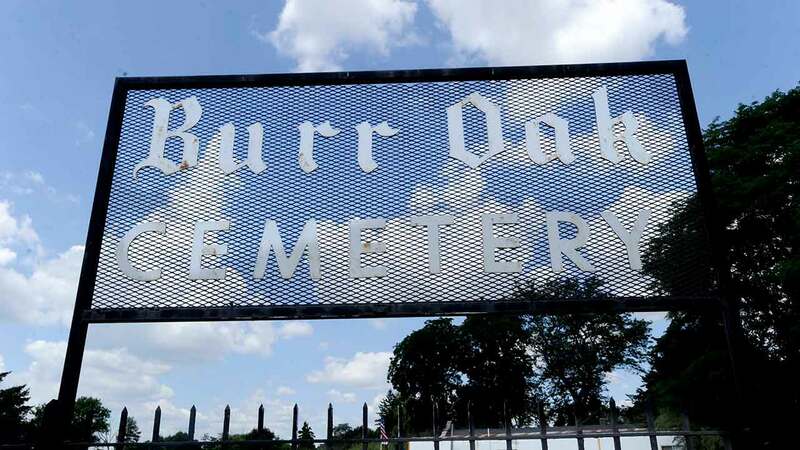 "We hope that these sentences will bring some measure of justice to the families of the loved ones who were so violated and betrayed by these heinous acts at Burr Oak Cemetery."